What happens to I-66 tolls when it snows? 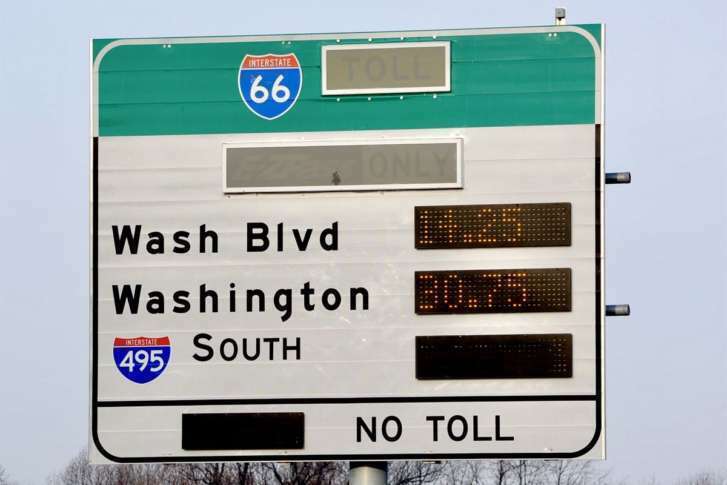 Neither snow nor rain nor the gloom of an early sunset will keep the Interstate 66 tolls for solo drivers and the newly expanded HOV hours from kicking in on weekdays. RICHMOND — Neither snow nor rain nor the gloom of an early sunset will keep the Interstate 66 tolls for solo drivers and the newly expanded HOV hours from kicking in on weekdays. “There’s no turning it off,” Virginia Department of Transportation Tolling Director David Caudill said. “Rain and snow, it’s going to work,” he said of the I-66 tolls. They apply on weekdays from the Beltway toward Rosslyn between 5:30 a.m. and 9:30 a.m. and from Rosslyn toward the Beltway between 3 p.m. and 7 p.m. The tolls and HOV rules do not apply on federal holidays. While the tolls will remain on, Caudill promised in an interview that at least some drivers who get stuck behind a significant crash or other incident will get refunds, especially if they entered the tolled area before VDOT’s message signs could provide advance notice of a crash. “We’ll evaluate what those impacts are. If someone got into that facility before seeing the signage, then we’ll have some sort of time frame of that group that was impacted, and we’ll do something to their trip price. We’ll either zero it out or we’ll reduce it, but the expectation is we’re going to treat users fairly if they didn’t get the trip they were expecting,” Caudill said. In the event of building backups, Caudill said, VDOT would not interfere with the tolling algorithm that raises prices as more vehicles enter the lanes. “To jump in and try to manually manipulate it won’t result in any benefit,” he said. The higher tolls are meant to discourage more solo drivers from entering the lanes, while allowing drivers with at least one other person in the car and an E-ZPass Flex switched to HOV mode to continue to use the lanes for free with the smallest delay possible. The tolls and HOV rules can be lifted in the event of an emergency.